The Judicial Evaluation Committee of the Chicago Bar Association is beginning the process of screening Cook County judicial candidates for the 2012 primary. Any lawyer or Circuit Court judge seeking an Appellate Court position who has not been screened for that position within the last two years. Any lawyer or judge seeking a Supreme Court position who has not been screened for that position within the last two years. The JEC’s Circuit Court Questionnaire may be obtained at The Chicago Bar Association, 321 South Plymouth Court, or online at www.chicagobar.org. The CBA JEC will be concentrating its efforts on candidates who plan to appear before a party slating committee at this time. These persons should call the CBA's Therese Kurth to find out when their questionnaires are due. Persons who are not be planning to present their credentials to a party screening committee may also want to obtain the CBA questionnaire. Because completing the questionnaire requires a significant time commitment, it is never too early for candidate hopefuls to download and start the process. I've noticed a few nasty comments posted lately about particular individuals. In the dishonorable tradition of Internet comments on news sites generally, these stealth attacks are all anonymous. I hope these will prove to be isolated incidents. This blog allows for anonymous comments, but I strongly encourage anyone who leaves a comment to leave a name. Moreover, if a person has such a strong opinion about someone, positive or negative, that he or she is moved to leave a comment, I would hope that that person would provide some bases for that opinion. In the law, “An expert’s opinion is no better than the facts on which it is based.” Kostecki by Kostecki v. Pavlis, 140 Ill.App.3d 176, 180, 488 N.E.2d 644 (1st Dist. 1986). See also, Wiedenbeck v. Searle, 385 Ill.App.3d 289, 293, 895 N.E.2d 1067 (1st Dist. 2008) (“[w]hile testimony grounded in ‘expert analysis of the known physical facts’ is welcomed, conclusory opinions based on sheer, unsubstantiated speculation should be considered irrelevant”). When you leave a comment, whether saying that Candidate A is paragon of virtue or that Candidate B is a bum, you are setting yourself up as an expert, compared to the rest of us, about that candidate. I would think that leaving some bases for one's opinion would be particularly important to someone who wants to persuade voters that a judge or judicial candidate is worthy or unworthy of their trust. Incidentally, from what I've read on the subject, SHOUTING (which is what TYPING IN ALL CAPS is analogous to) is not particularly persuasive. In addition, it's more difficult to read. Please note: I am not assuming responsibility for any content or comments on this blog except for posts or comments which I put up. 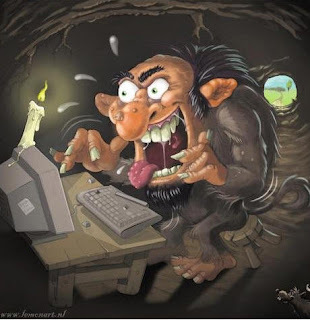 Unless I make the comment, or unless I add a comment agreeing or disagreeing with a comment, the presence of a comment on this blog is not intended to be, nor should it be construed by you as, an expression of my opinion. I reserve the right to police this site and to delete any comment that strikes me as particularly scurrilous (but only if I notice it and remember to do so). I also reserve the right to leave up nasty comments, if only to serve as horrible examples. Finally, I reserve the right to discontinue anonymous comments, to discontinue comments altogether, to institute comment moderation, or to employ any other method that I can master as I see fit. However, maintaining this blog is a hobby of mine, not a full-time gig. I will do my best; please don't do your worst. A campaign website has been established for Judge James A. Shapiro. That's a link to the site in the preceding sentence; the link has also been added to the Sidebar. Judge Shapiro has announced he will be seeking one the vacancies in Cook County's 8th Judicial Subcircuit; he has not yet specified which of the vacancies he is seeking. 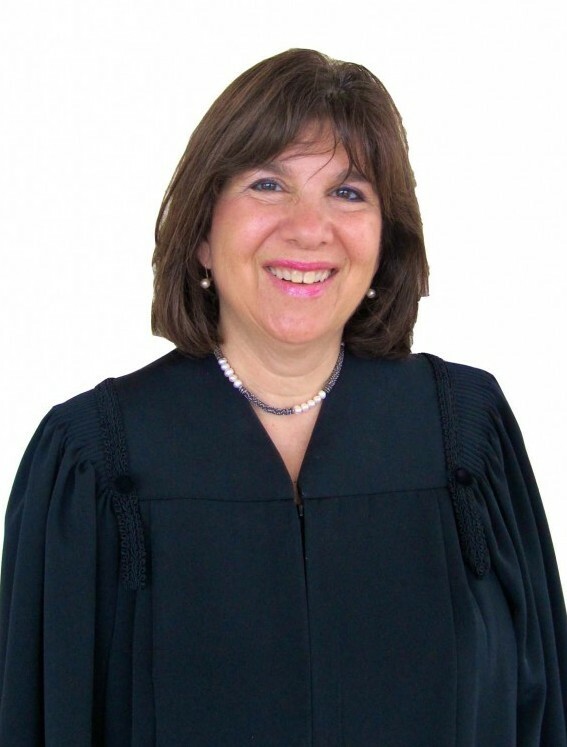 Judge Shapiro was appointed to the bench by the Illinois Supreme Court in 2007. 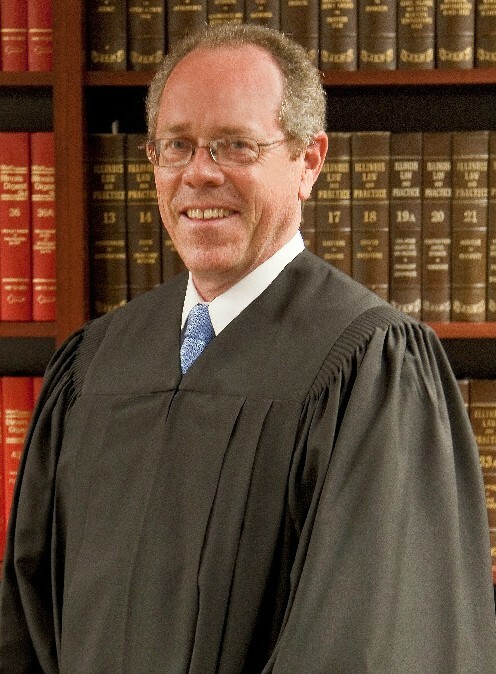 He ran unsuccessfully for the Sheehan vacancy in the 8th Subcircuit in the 2008 primary but was subsequently recalled to judicial service by the Illinois Supreme Court. A fundraiser for Judge Shapiro's campaign will be held on Thursday, September 22 at Manny's Restaurant and Delicatessen, 1141 S. Jefferson. The suggested donation is $100, with sponsorship levels available. Complimentary valet parking will be available. Further information about the fundraiser will soon be available on the campaign website; in the meantime, additional information may be obtained by calling Jeremy Leithold-Patt at (847) 254-6738. A fundraiser will be held Thursday evening, July 28, from 5-8:00pm, for Judge Helaine L. Berger, at the Parthenon, 310 S. Halsted St. The suggested donation is $100. Complimentary valet parking will be provided. For additional information, contact Mark Parsky, by email at KLG@Mcveyparsky-law.com or by telephone at (312) 551-3414. Maritza Martinez is running for judge in Cook County's 11th Judicial Subcircuit. A campaign website has been established for Martinez. That's a link to the site in the preceding sentence; a link has been added to the Sidebar. Martinez was a candidate for an 11th Subcircuit vacancy in the 2010 primary as well. A campaign website has been established for Judge Stanley L. Hill. That's a link to the site in the preceding sentence; a link has also been added to the Sidebar. 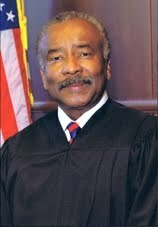 Judge Hill was appointed by the Illinois Supreme Court to the countywide Conlon vacancy. A campaign website has been established for Judge Celia Louise Gamrath. That's a link to the site in the preceding sentence; a link has also been added to the Sidebar. Judge Gamrath was appointed by the Illinois Supreme Court to the Chiola vacancy in Cook County's 8th Judicial Subcircuit. 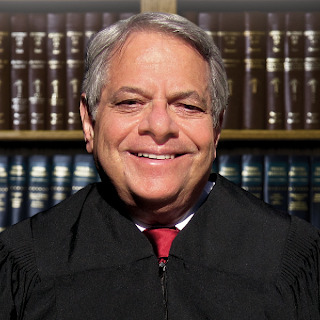 A campaign website has been established for Judge James Kaplan. That's a link to the site in the preceding sentence; a link has been added to the Sidebar. 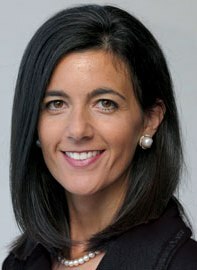 Judge Kaplan was appointed by the Illinois Supreme Court to the Cole vacancy in Cook County's 8th Judicial Subcircuit. Associate Judge Helaine L. (Lainie) Berger has announced plans to seek the Cole vacancy in Cook County's 8th Judicial Subcircuit. A campaign website has been established for Judge Berger. That's a link to the site in the preceding sentence; a link has also been added to the Sidebar. An associate judge since 1997, Judge Berger is currently assigned to the Circuit Court's Child Protection Division. When not presiding in court, Judge Berger is working with other judges, court administrators and community resource providers seeking to establish a Family Drug Treatment Court. Judge Berger has helped prepare grant proposals for the new court and has traveled to other states to study how similar programs work in other jurisdictions. A lawyer since 1981, Judge Berger began her legal career as an Assistant Public Defender in Lake County, Illinois. She later moved to an insurance defense practice at Purcell & Wardrope, Chtd. and, later, a general litigation practice with her own firm, Berger & DePaul. 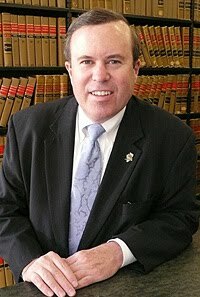 Found on the Internet: A campaign website for Judge Kevin W. Horan. That's a link to the site in the preceding sentence; a link has also been added to the Sidebar. Judge Horan was appointed by the Illinois Supreme Court to the Daniel A. Riley vacancy in Cook County's Fourth Judicial Subcircuit. If you know of a Cook County judicial candidate website, send an email to this blog. Found on the Internet: A campaign website supporting the election of Judge Peter Vilkelis. That's a link to the site in the preceding sentence. I've added the link to a sidebar on this blog as well. Judge Vilkelis was appointed by the Illinois Supreme Court to the countywide vacancy created by the retirement of Judge Donald J. O'Brien, Jr.
City recycling: Show me the money! In the news this week is a report that Mayor Emanuel has hired Waste Management and Metal Management Midwest to "take over half of Chicago's curbside recycling business." The linked Tribune article, by Kristen Mack and John Chase, says these new contracts will reduce the cost to the City by $3.3 million -- from $13.8 to 10.5 million. Waste Management stands to make about $3 million a year to pick up recycling in three of Chicago's six service areas, spread across the city. Metal Management Midwest would haul in about $695,000, serving parts of the South Side. Labor leaders are reportedly wary that these contracts may establish a beachhead for the forces of privatization on traditional union turf. Have you ever been in a grocery store? An office supply store? A hardware store? Has Mayor Emanuel? There are recycled products on every shelf. Manufacturers make them because stores buy them. Stores stock these products because consumers buy them. 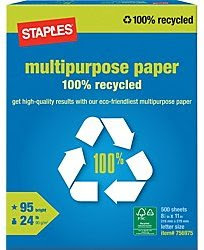 So... who's selling the recycled products to the manufacturers? I'm only a poor lawyer and not an environmentalist but, relying on what I learned in basic logic, I'd bet that those who pick up the recycling at the curb must selling what they pick up to someone else... or the loop would never close. Our parish church raises money collecting newspapers and aluminum cans. The church gets money for these things. My question, then, is whether the City is getting money for the recycling it collects. The news this week suggests that the City is paying some people to take away what others might be willing to buy. The Illinois Supreme Court has appointed Daniel Lawrence Peters, a criminal defense attorney with offices in southwest suburban Palos Hills, to the Fourth Subcircuit vacancy that will be created by the July 31 retirement of Judge Jennifer Duncan-Brice. Peters has been licensed in Illinois since 1991. His appointment is effective August 1 and terminates December 3, 2012. Additional information can be obtained by calling 312-572-9884 or from Judge Gubin's campaign website. According to Papi Perez, Deidre Buamann, who finished second to Judge William H. Hooks in the race for the countywide Berland vacancy in the 2010 primary, is planning another run for judicial office. A campaign Facebook page has already been established; an updated campaign website is soon to be published (a link will be provided when this happens). If a candidate seeks to run for judicial office in a district, then the candidate's petition for nomination must contain the number of signatures equal to 0.4% of the number of votes cast in that district for the candidate for his or her political party for the office of Governor at the last general election at which a Governor was elected, but in no event less than 500 signatures. If a candidate seeks to run for judicial office in a circuit or subcircuit, then the candidate's petition for nomination must contain the number of signatures equal to 0.25% of the number of votes cast for the judicial candidate of his or her political party who received the highest number of votes at the last general election at which a judicial officer from the same circuit or subcircuit was regularly scheduled to be elected, but in no event less than 1,000 signatures in circuits and subcircuits located in the First Judicial District or 500 signatures in every other Judicial District 500 signatures. A candidate in a judicial election may file petitions for nomination for only one vacancy in a subcircuit and only one vacancy in a circuit in any one filing period, and if petitions for nomination have been filed for the same person for 2 or more vacancies in the same circuit or subcircuit in the same filing period, his or her name shall be certified only for the first vacancy for which the petitions for nomination were filed. Only judicial offices are singled out in this fashion. Section 7-12(9) still provides, for all other "incompatible" offices, "If petitions for nomination have been filed for the same person for 2 or more offices which are incompatible so that the same person could not serve in more than one of such offices if elected, that person must withdraw as a candidate for all but one of such offices within the 5 business days following the last day for petition filing." These changes will presumably add a degree of difficulty for candidates hoping to secure election to the bench in Cook County without the benefit of backing from the Democratic Party. Whether this was the drafters' intention is for others to consider.